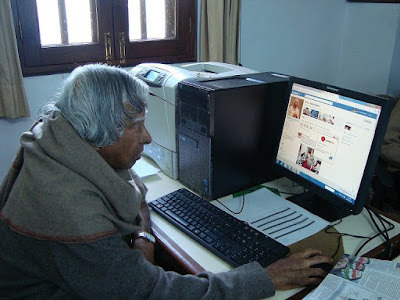 Kalam Enabled "missile" in india and 11th president of india from 2002 to 2007.He won the heart of indian peoples and always involved to help indian young stars and get inspire them.At a date i am writing this post kalam having a 40,218 likes in facebook. "I will be sharing all the ideas from the nation of those who have been giving to the society nation or environment to create the smile happiness and peace.I am calling This the what can i give diary which will regularly uploaded on screen. " said by Kalam.